The superpowered team-up 50 years in the making is finally here! 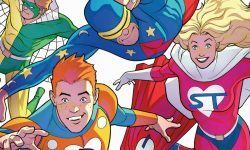 Riverdale’s most unlikely heroes, the SuperTeens, will meet Archie Comics’ flagship hero team, The Mighty Crusaders, in a two-issue crossover event flying to comic shops this summer. Celebrate 75 Years of Archie Comics with a Special ‘Cake Wars’ Episode Tonight at 9/8c on Food Network! 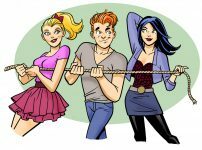 Preview the new Archie Comics on sale January 27th! ‘Shark-tacular’ extra-sized issue hits same day as SHARKNADO 3: OH HELL NO! 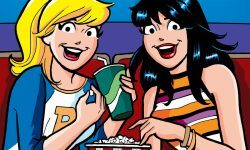 premieres on Syfy Wednesday, July 22 at 9PM This summer, just in time for Syfy’s SHARKNADO 3: OH HELL NO!, fans will see an unexpected, jaw-dropping twist to the Sharknado saga – in Riverdale USA!